Students from Brooks County Middle School and Brooks County High School attend the Veterans Day program hosted by our local VFW. Winners of the Voice of Democracy Contest, Patriots Pen Contest and the Smart/Maher VFW Teacher Award were announced. Pictured: Mr. P.D. 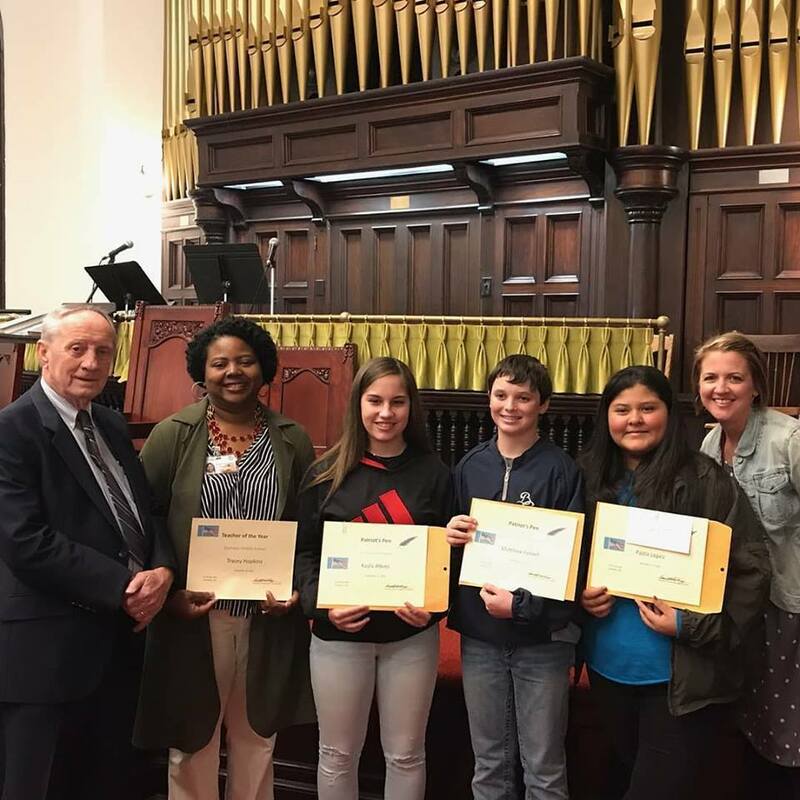 Duncan, VFW member; Mrs. Tracey Hopkins, BCMS 6th grade teacher; Kayla Akins (1st place); Matthew Ferrell (2nd place), and Paola Lopez (3rd place), Beth Lee, BCMS Instructional Coach.